I Love the Collection Season's Elegance by Studio E. I think its a very elegant collection that would look great as a table topper or even a beautiful Christmas quilt to sit by the fire with. The traditional colors would go with any Christmas theme. I love the simplicity of the textures in the fabric. I also found an awesome collection for all you Elf on a Shelf fans out there. 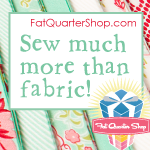 Here is a fun collection by Quilting Treasures that would make a great quilt for any child.